Hello everyone. My name is Brandon Clements and in this series we will take a look at using Octane render for Cinema 4D R18. This series will cover all aspects of creating materials, using Octane shaders, exploring multiple lighting scenarios, creating render passes for post manipulation, and using the newly integrated Substance Engine featured in R18 to create an architectural visualization for an interior living space. We will also take a look at our render from Cinema 4D and Octane render and utilize Blackmagic Design's Fusion A to improve the look and feel of our renders. The primary goal of the series is to take an in-depth look at Octane render and provide explanation on material creation for a practical photo realistic project. All the scene files will be included with the series, so I invite you to follow along, and there is so much to talk about. So without further ado, let's go ahead and jump into our project. Learn how to create dynamic simulation setups, and how to use alternative methods to achieve more control and work around the limitations. When dealing with Dynamic simulations, it's not uncommon to use a Standard Particle or Thinking Particle emitter, to emit dynamic objects. Although by default, it's a very simple setup, it has some drawbacks and limitations. In this series, I'll begin by showing you how to create these setups, and then I'll show you how to use alternative methods to achieve more control and work around the limitations. In this feature packed mini Series, Athanasios will show you the process of making a Dynamic Glass Fracturing setup from start to finish, that looks awesome, and only takes a few moments to set up. We will start from the easy process of Extruding Text and Fracturing it using a Voronoi Fracture Object. We will then create a Glass Material and light it with a High Dynamic Range image from the Content Browser. We will finish the series with detail the glass fragments, make the fragments adhere to each other, add fake and Fast Dispersion and finally Reveal the fractures in a controllable way. Learn how to generate 3D geometry from video footage using Scene Reconstruction in Cinema 4D R19's Motion Tracker. Generating 3D geometry from video footage allows you to fully integrate CG elements into an actual environment, and it's made possible by the Scene Reconstruction feature added to Cinema 4D's Motion Tracker in Release 19. In this tutorial series you'll learn how to choose or shoot footage for Scene Reconstruction, and how to track the camera and create geometry from the footage. The resulting 3D geometry can be used to catch shadows, or to generate reflections on CG elements. You can use it within dynamics simulations so 3D elements collide with a real-world landscape. Or you can generate a wireframe mesh, point cloud or topographic contour lines for as a fake representation of augmented reality or to create another type of futuristic user interface special effect. 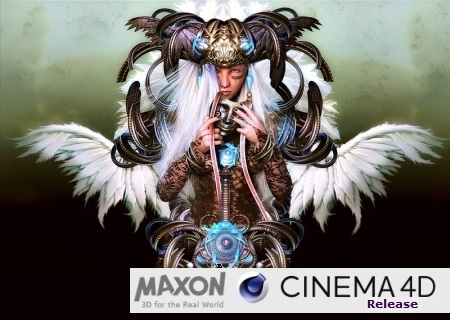 Extra: Maxon CINEMA 4D Studio R19 Content Pack.